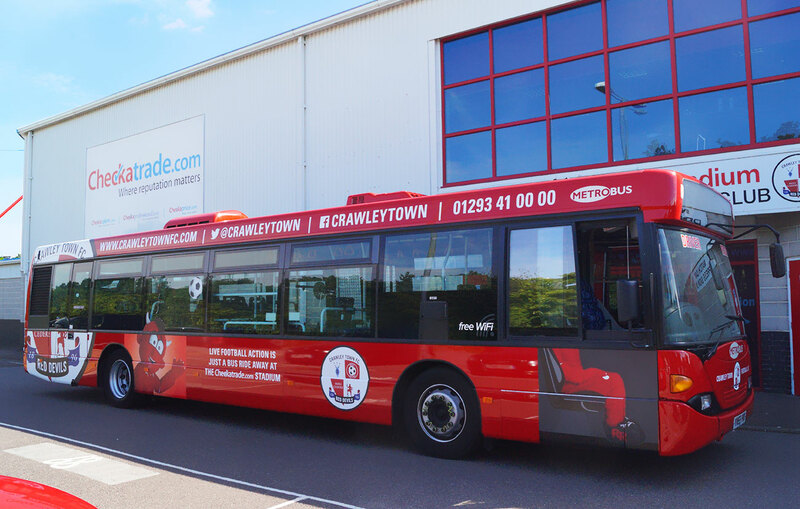 Creative Pod work with league two football team Crawley Town FC providing the club with ongoing support for all aspects of their marketing. 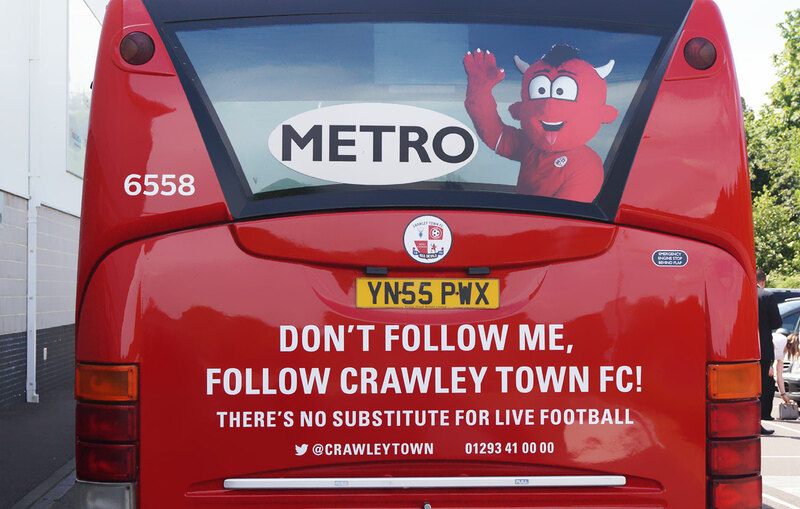 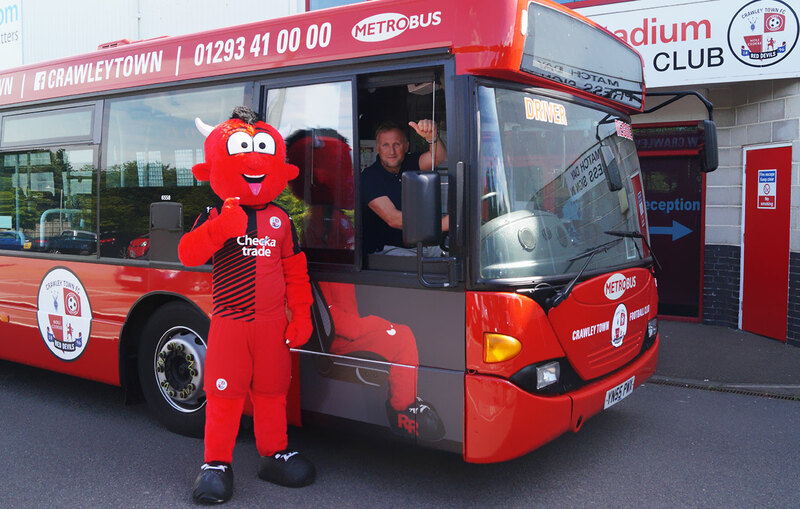 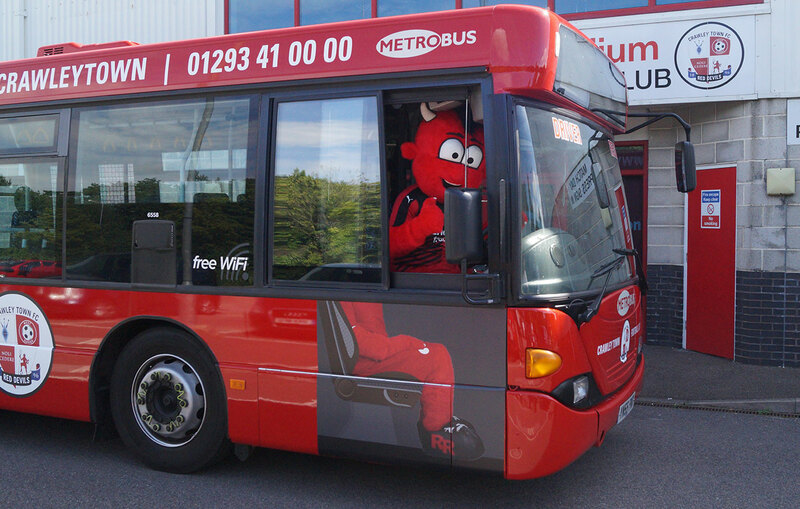 As part of two year deal with Crawley Town and Metrobus, Creative Pod designed and printed graphics for a specially branded Crawley Town FC bus. 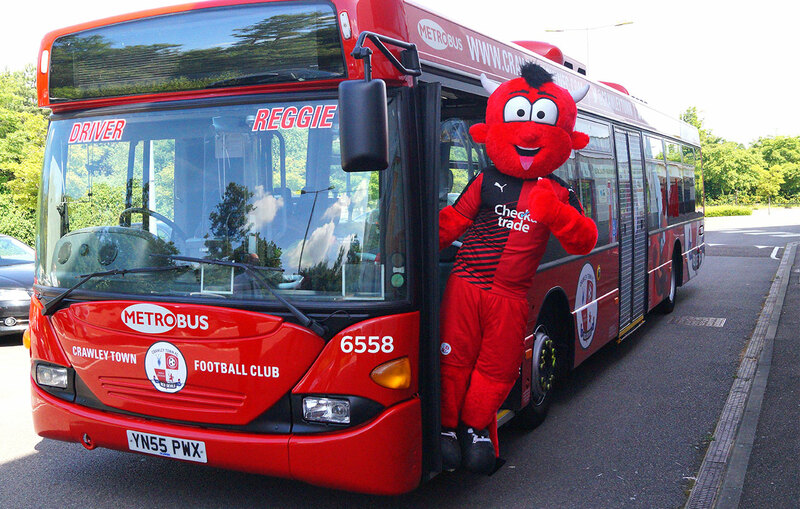 The bus features their mascot, badge and easy to read contact details for the club. 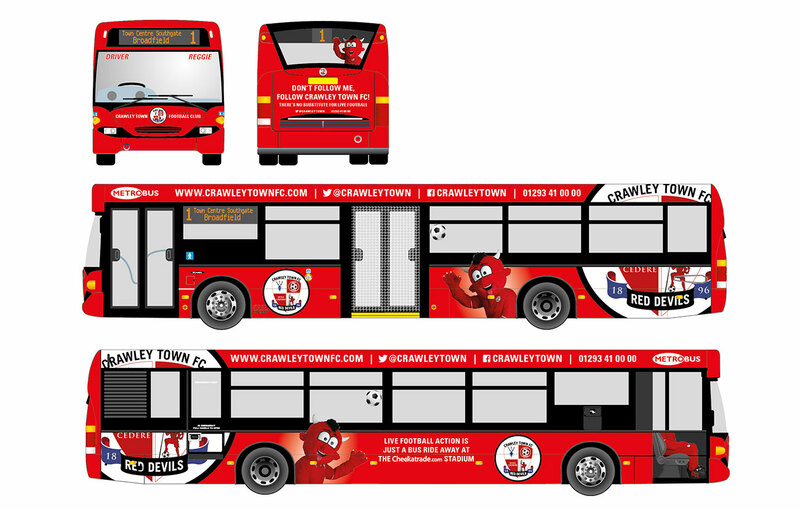 With the rest of fleet in blue, the red Crawley town bus really stands out on the streets of Crawley.